A large chickadee, about five inches long. Brown crown and nape. Sooty black throat. White sides of the head and neck widening to the back of the neck. Dusty brownish gray back, wings and tail. Light gray underside. Similar to Boreal and Black-capped Chickadees. Inhabits coniferous and mixed forests year around in Arctic areas of eastern Siberia, Scandinavia, Canada, and central and northern Alaska. Builds nests of grass, plant down and wool or hair in abandoned and natural cavities of trees and stumps from near the ground up to twenty feet in forests near streams. Will nest in birdhouses if properly sized and installed. Lays six to ten, more or less, white, sometimes speckled eggs which hatch after about two weeks incubation and young leave the nest in about another three weeks. Forages in trees and on the ground for insects, their eggs and larvae, seeds and fruit. The Siberian chickadee birdhouse (same as for brown-headed and pygmy nuthatches and chestnut-backed chickadees) has a 4″ by 4″ floor, 9″ inside ceiling, 1 1/8″ diameter entrance hole located 7″ above the floor and ventilation openings and a hinged roof secured with brass shutter hooks. Assemble with corrosion resistant screws fit to pre-drilled and countersunk holes. Mount nest box on a tree trunk or hang from a limb from chest level to just out of reach, higher if necessary. Place a few chips, not sawdust, on the nest box floor. Remove the nest after the brood rearing season is over. Large Chickadee, about five inches long. Brown crown and nape. Sooty black throat. White sides of the head and neck widening to the back of the neck. Dusty brownish gray back, wings and tail. Light gray underside. 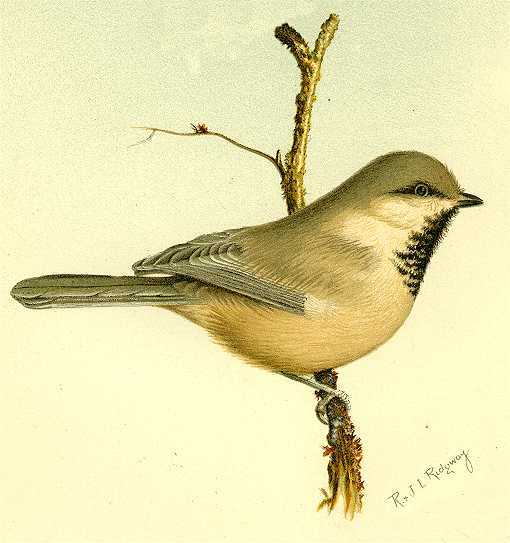 Similar to Boreal and Black-capped Chickadees. The Siberian chickadee birdhouse (same as for brown-headed and pygmy nuthatches and chestnut-backed chickadees) has a 4″ by 4″ floor, 9″ inside ceiling, 1 1/8″ diameter entrance hole located 7″ above the floor and ventilation openings and a hinged roof secured with brass shutter hooks. Assemble with corrosion resistant screws fit to pre-drilled and countersunk holes. Mount this nest box on a tree trunk or hang from a limb from chest level to just out of reach, higher if necessary. Place a few chips on the nest box floor. Remove the nest after the brood rearing season is over.